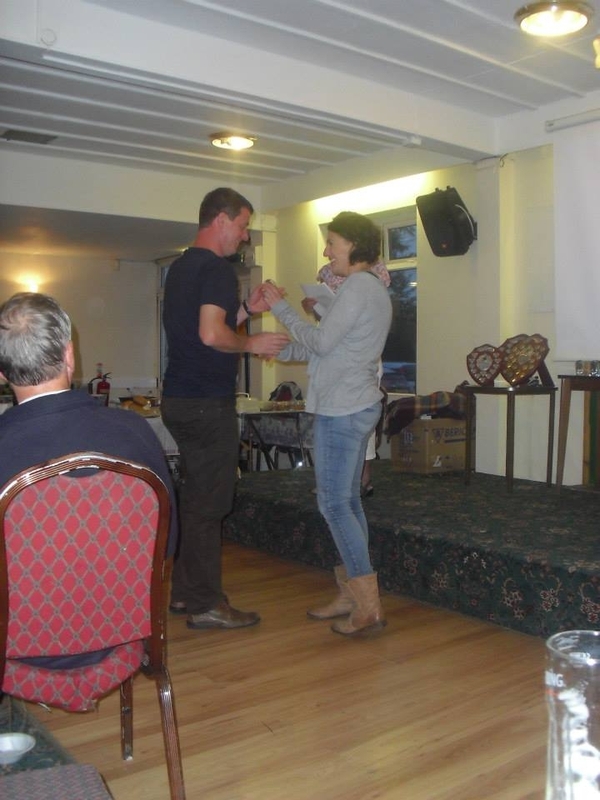 Lots to report this week from podiums and PB’s to trophies and dodgy dance moves! Thursday 26th saw the Warrington 10k at Woolston park. This is a 2 lap course starting in the centre of the park, then 2 laps around the surrounding roads, fields, woodland and a bit of trail path thrown in. With this being a Cheshire Championship race it was a higher standard than usual with 2 new mens and ladies course records broken on the night. 3 Helsby vests were out, with good running from Tom Dejong taking 8 minutes off last years time and securing a new PB in the process. Well done also to John Thompson who ran a great race and is getting some form back after being out with injury for some time. On Friday 27th, 14 Helsby vests turned out for the summer handicap. Many thanks to Phil for organising the race, and thanks to all the marshalls and runners who turned up on a wet Friday night to do battle. Great running from all, but the clear winner was Adrian Jackson who stormed around the course to take the title. Well done Adrian! On Saturday 28th 4 Helsby vests turned out to run the 67th Delamere parkrun. Brilliant running once again from Colin Bishop who took the top spot in 17:57. 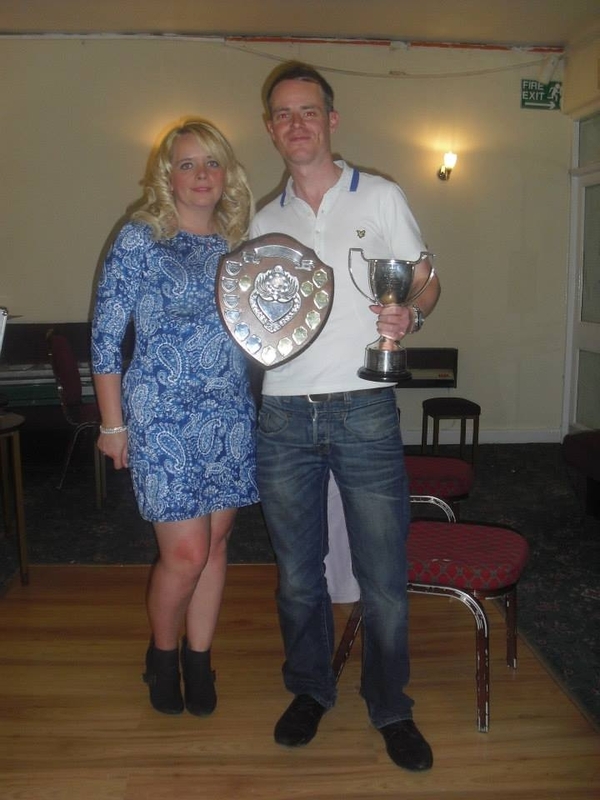 Also well done to Emma Barnes who was first Helsby lady home. Saturday morning (4am!!!) saw Helsby runners Andy Robinson and Chris Baynham-Hughes jump on a coach bound for Nant Gwynant (South Side of Snowdon) to take on the Welsh 3000 footers. For those that don’t know about them, there are 15 * 3000 foot peaks in Wales which are neatly compacted between three ranges: the Snowdon Range, The Glyderau and The Carneddau. Although the traditional challenge starts from the peak of Snowdon and finishes at the peak of Foel Fras, we were lucky enough to have to climb Snowdon first and then finish in Rowen making the entire course 55km and 4500m of ascent. 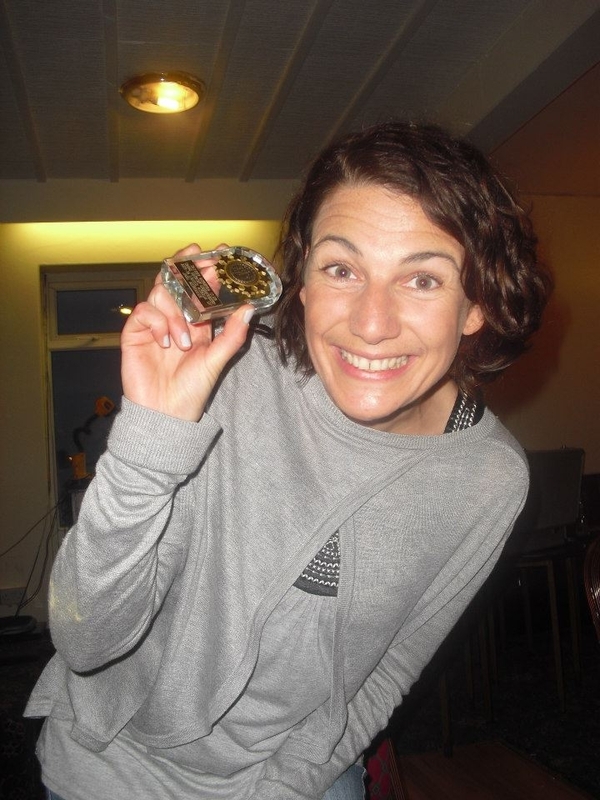 Andy had made the race part of the ultra running championships which he and a couple of others have taken over and it was also the first Skyrunning UK race to be held… oh, we had to stick to a vegan diet too as part of the World’s only vegan ultra race. Everything else aside, the route is nothing short of magnificent. Some things are classic for a reason and anything involving Crib Goch is bound to be special. Losing places on the descent but gaining on the climb saw me firmly in third place until the top of Glyder Fawr where I spent a good five minutes looking for a clip that hadn’t been put out yet (as I found the guy putting them out as I hit Glyder Fach). Disaster then struck as the clag came in and I managed to come off the Glyders heading towards Pen-y-Pass. Furious with myself I tracked along the miners path to find my 15 minute lead on the guy in 4th cut to nothing. Having never been in 3rd position in a race before I found myself very keen to retain the position and managed to put some space between us again. The clag on the Carneddau was dreadful and a bad line to Yr Ellen allowed others to catch up including a guy I know to be far faster than me. In many respects the clag became my saviour after that, despite a lot of zigzagging I made the remaining tops. As I began the descent from Foel Fras (pretending Jimmy was behind me so I wouldn’t ease up) my secret weapon arrived in the form of new member Phil Roberts out on the Foel Fras fell race. The boost to find a fellow Helsby runner was unbelievable and mentally had me on a short fell race with him towards the finish over Drum and whooping on the awesome grassy descent to the roman road. I fell behind Phil before we got to the Roman road, but his work had been done, allowing me to hold onto a podium finish; my first ever. Meanwhile Andy Robinson who had not run for 4 months due to injury cracked on round to take a magnificent 36th place. Given the competition, the extreme nature of the event and his absence from the hills that is nothing short of amazing! I’m sure he’ll agree it was an outstanding day out and one for our expanding band of Ultra runners to think about for next year. Brilliant report Chris and well done on your podium position, and well done to Andy too. It seems you can’t keep Helsby off the podium right now! On Sunday 29th 4 Helsby runners travelled to Warrington for the Arley Hall 10k. Good running once again from all, with Joanne and Derek in fine form securing new PB’s. Well done guys! 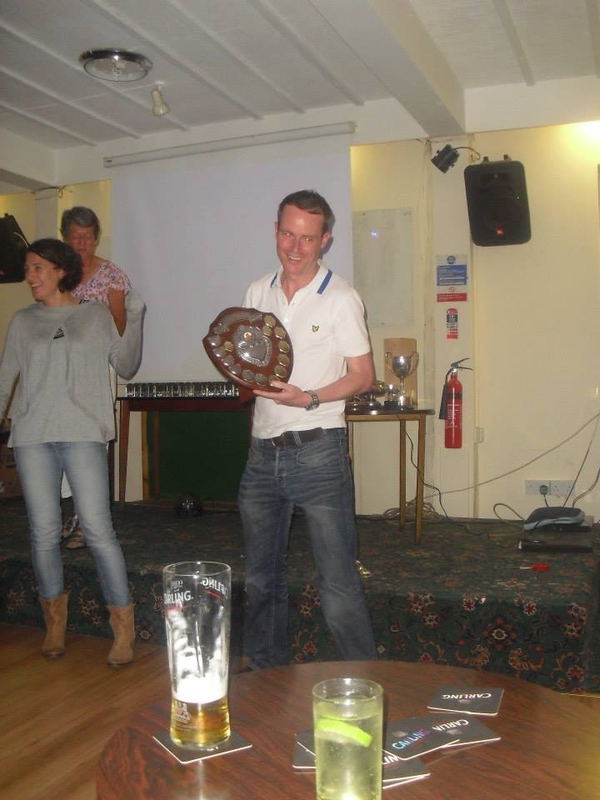 And last but by no means least….the Helsby Running Club awards night! Full report from Jackie to follow but I’d just like to take the opportunity to say what an absolutely fantastic evening it was. There was laughter, fine food & drink, great company and some very interesting dance moves happening (video evidence on Facebook!) 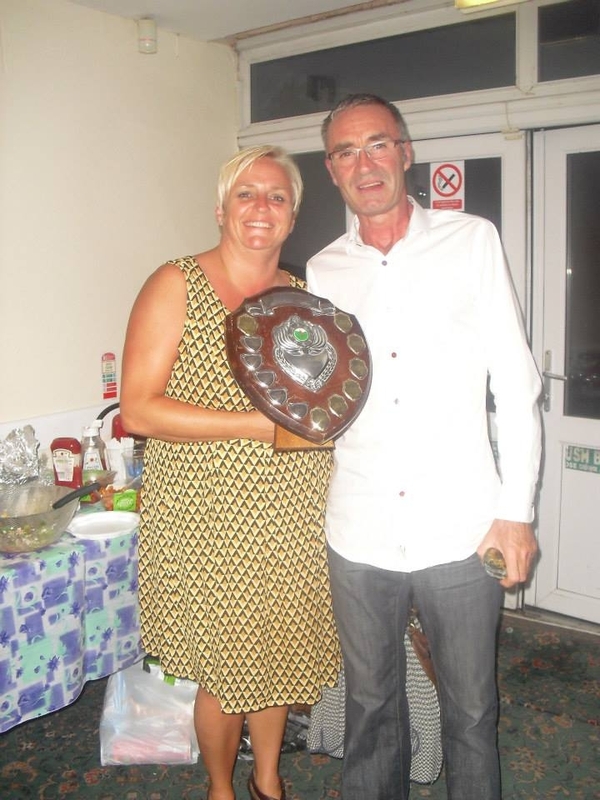 Also, of course, was the main awards event organised and hosted brilliantly by Jackie. A massive thank you to Jackie, Dave & Leslie for the buffet, Donna & Ian for the stats and Chris Igoe for being our new resident DJ! Also well done to everyone who won an award. 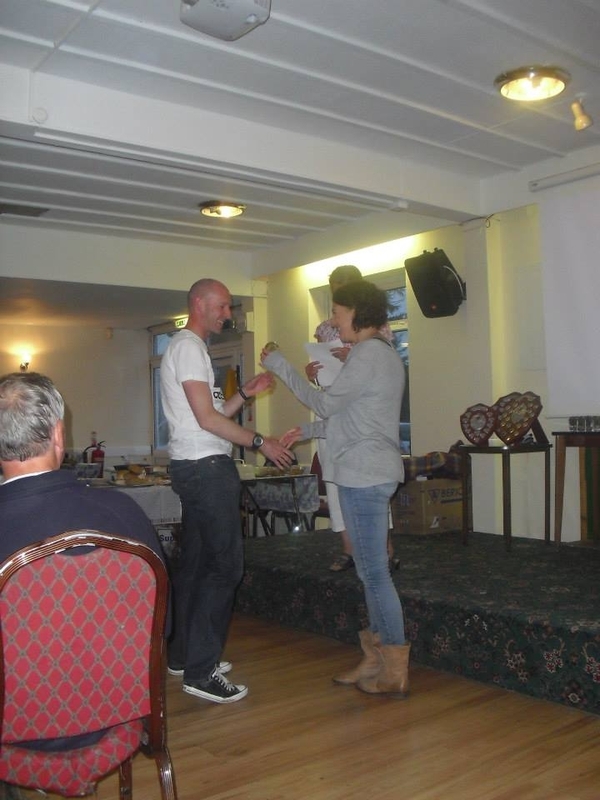 The enthusiasm and hard work shown by all club members over the past year is what makes our running club so special. Here’s to another great year of running! Plus planning has already started for the Four Villages, how time flies! There will be a kick-off meeting in the clubhouse after our club on Wed 9th July, 8:30. Chip balms provided to sustain us. 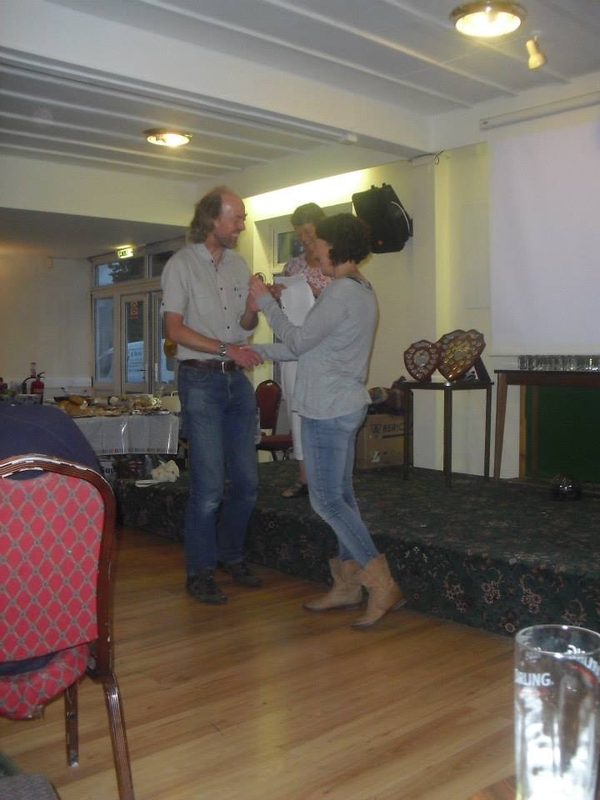 Friday evening was a memorable handicap, BBQ, presentation & disco. A big thanks to everyone for making it a success despite the heavy rain for the handicap and BBQ. Nothing stops Helsby RC enjoying itself! 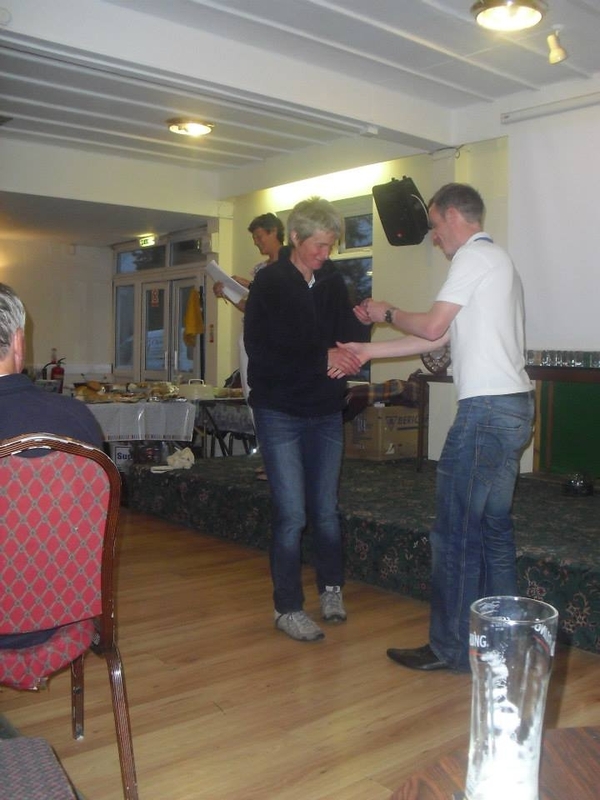 Lots of awards were given out, congratulations to all who ran in a total number of 529 club counters! 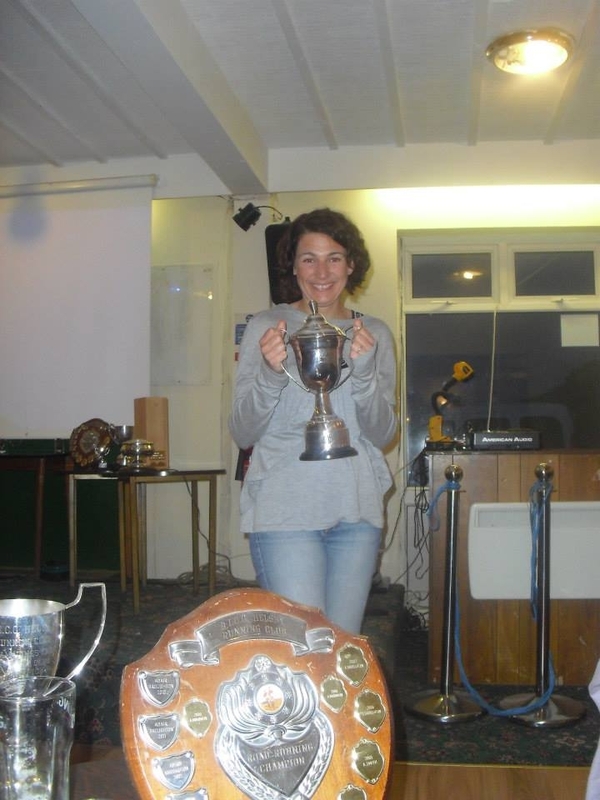 The details of all the club championships will be put on the blog asap. 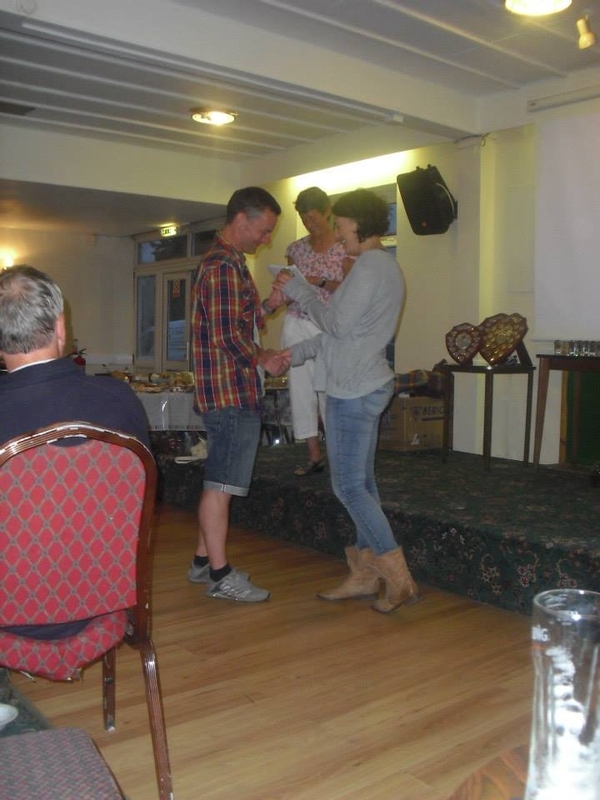 This entry was posted in Uncategorized and tagged arley 10k, awards, parkrun, v3k, vegan 3000, welsh 3000. Bookmark the permalink.